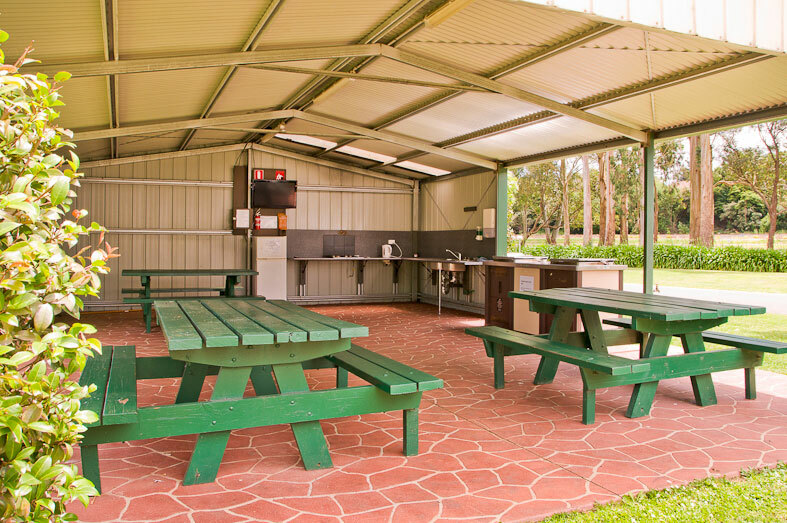 We have provided a high level of on-site facilities to make your stay comfortable..
Facilities available for use by our guests include a BBQ shelter and adjoining camp kitchen with stove top, fridge and television. 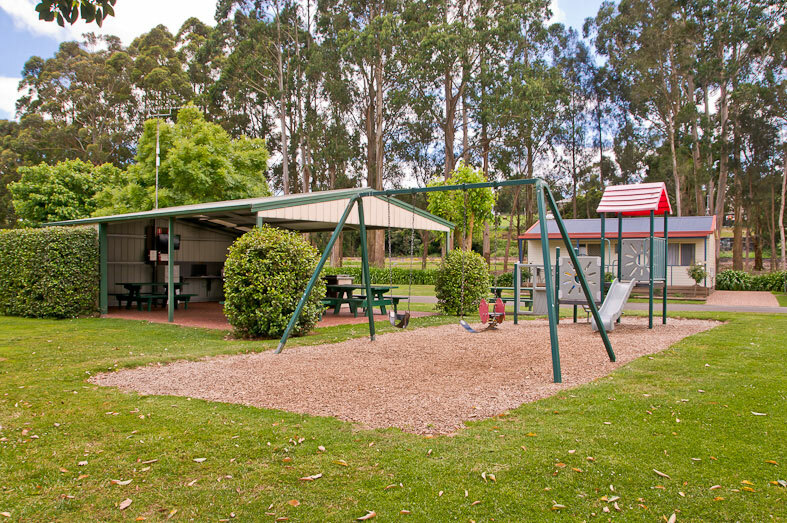 This is the perfect space for family get-togethers or for caravan clubs and adjoins a safe childrens’ playground. 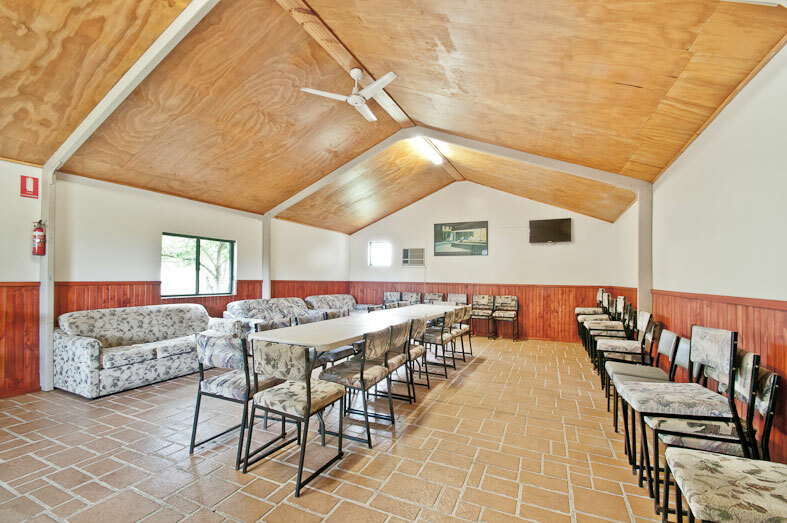 A meeting room is also available by request and includes large tables with seating for 30 people. 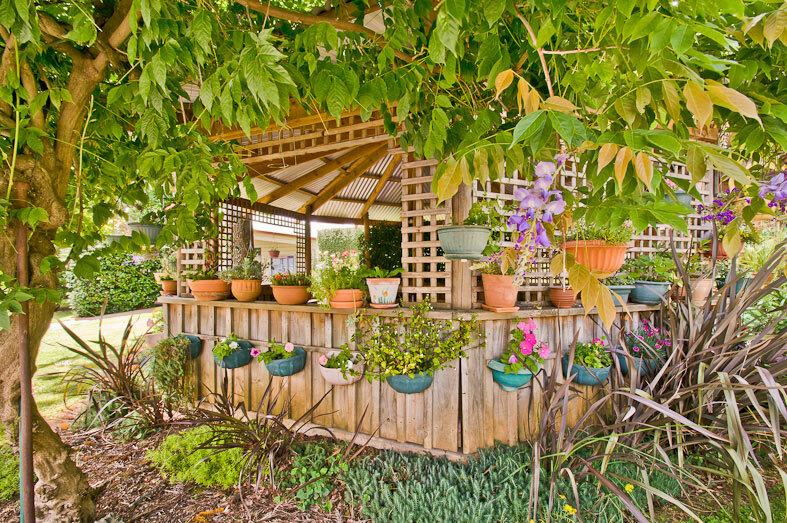 Tea and coffee making facilities, a television and heating is provided. 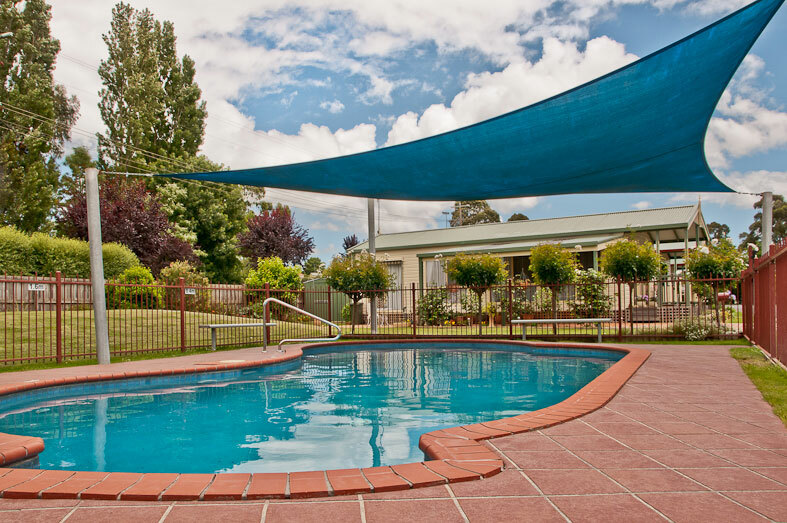 A solar heated swimming pool, laundry facilities and central amenities block is also situated within the park.